Located in historic downtown Brooklin, Ontario, Durham Orthodontic Centre is an orthodontics practice owned and managed by Dr. Arun Rajasekaran. Dr. Rajasekaran has been practicing for 10 years and has another orthodontics practice located in Markham. Specializing in braces and orthodontic appliances, the orthodontics practice sees patients of all ages. Treatment includes using In-Ovation self-ligating braces, Clear braces, Lingual braces, Invisalign® invisible braces, and removable appliances. Other types of treatment include the Diode Laser which is used to do a multitude of procedures that are beneficial to patient orthodontic treatment and Temporary Anchorage Device (TAD) or mini implant. A doctor referral is not required and the clinic offers a free consultation including pictures and x-rays at no charge. 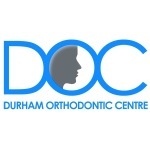 Durham Orthodontic Centre serves the Durham Region and beyond, and they offer their patients 0% interest payments as well as flexible financing.